SB Bhattacharyya, Member, National EHR Standardisation Committee, MoH&FW, GoI, India || Member, Health Informatics Sectional Committee, MHD 17, BIS. Affordable high-speed Internet, smartphone and wearables are rapidly transforming patient care through telehealth and telehomecare (24x7 home-based monitoring). Instead of patients waiting endlessly for a review consultation, they can now be alerted regarding their health and illness status instantaneously in the comfort of their home / workplace. Telemedicine has been around for quite a while but has largely been unable to fulfil on its various promises with only the video-conferencing and remote consultation seeing the light of day amongst the many functionalities that it successfully is able to execute. With the advent of faster Internet speeds at very affordable rates coupled with ready availability of smart phones and rapid acceptance of wearable healthcare devices, the ground realities are getting altered dramatically very rapidly. Instead of being merely esoteric, telemedicine, in its new avatar as telehealth and telehomecare, is quickly transforming the way individuals are accessing care. Instead of patients having to make that extra effort at additional costs to visit care providers just for a review, they are now being informed whether everything is hunky-dory or they need to get in touch with their providers right away, without having to move from the comforts of their homes. This change is truly transformational and definitely holds the promise of better affordable care in terms of better outcomes and increased efficiency at reduced costs. To obtain a proper perspective, it is important to first get someclarity regarding some of the terms that have become part of the digital healthcare lexicon. Telehealth is a collection of means or methods for enhancing healthcare, public health, and health education delivery and support using best of available telecommunications technologies. Thus, it encompasses a broad variety of technologies and tactics to deliver virtual medical, health, and education services. Telehomecare refers to care delivered at the receiver’s location (home)by providers from a remote location (facility). Thus, it is a form of telemedicine that is based in the patient’s home and is a digital communication and clinical information ecosystem that enables the interaction of voice, video, and health-related data using best of available telecommunications technologies. Although the term is often interchanged with remote patient monitoring, it strictlyis not. Remote patient monitoring is a technology that enables monitoring of individuals outside of conventional clinical care settings (healthcare facilities and inpatients) and has the potential of increasing access to care and delivery efficiency while decreasing delivery costs. As a type of non-inpatients healthcare that allows a patient to use a mobile medical devices to perform routine tests and then electronically send the test results to a healthcare professional in real-time, remote monitoring helps bring care to the receiver instead of the traditional method of a receiver visiting a healthcare facility to access it. The Internet of Healthcare Things (IoHT) is the collection of healthcare devices and applications that connect to healthcare IT systems using online digital networks. This is accomplished by connecting various healthcare ‘things’ like wearables, apps, monitors, etc. to a central system that performs storage, analysis & monitoring via dedicated device gateways, home routers, smartphones and PCs located at the care receiver’s site. As everything else, healthcare too has been evolving moving from the traditional encounter-based illness care, whichis episodic in nature,to the ‘never discharged’ preventive and wellness care, which is continuous in nature. This is achieved through constant monitoring an individual’s health and proactively intervening to ensure to an optimal extent that the person is kept healthy and disease-free by intervening before any clinically-significant health-event occurs. Digital technologies are used to collect health data from individuals in one location that aresecurely transmitting them to health care providers at a different location for assessment and recommendations, all in a digitalised ecosystem. Such monitoring programmes collect a wide range of health data, such as vital signs, weight, blood pressure, blood sugar, blood oxygen levels, heart rate, and electrocardiograms from the point of care. The collected data is sent to the care providers using cloud-based applications. This permits the providers to monitor these individuals remotely and act on the information received as part of the overall treatment plan. A schematic diagram depicting this is as follows. Monitoring programmes can also help keep people healthy, allow older and disabled individuals to live at home longer and avoid being forced to move into skilled nursing facilities. Remote monitoring can also serve to reduce the number of hospitalisations, readmissions, and lengths of stay in hospitals—all of which help improve quality of life while containing costs.By leveraging high performance computing to provide feedback in real-time and using evidence based medicine, better clinical outcomes can be ensured. Using healthcare big data analytics and appropriate monitoring systems, care providers cansignificantly augment their ability to supervise the health and wellness of the individual, intervene on-demand through appropriate alerts / warnings or by asking them to visit a care provider on a priority basis or even making emergency visits forcare delivery in a home-setting. Measurable benefits of such connected healthcare devices include reduction in mortality rates, clinic visits, emergency admissions and length of inpatients stay. Regulations, use of appropriate healthcare expertise and machine learning are all key success factors for this ecosystem. 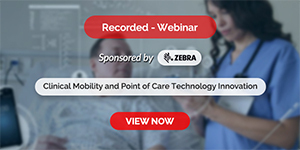 The benefits of telehealth and telehomecare include lowered cost of care and improved provider efficiency by reducing the loss of productivity and the need to travelresulting in reduced patient flows. This helps in redistribution of precious resources like provider time, facilities and equipment to those who actually need closer attention.Consequently,improved clinical outcomes and quality of life overallis achieved. Yet, the fact that these are technologies that require high capital expenditures must not be lost sight of. It is vital to note here that although paying for all this proves to be a costly affair in terms of money, time and resources at the beginning, the overall savings and efficiencies achieved thereby leads to very attractive returns on investment in medium to long term. With rapidly growing population andpeople tending to live longer with increased disease-burden, the healthcare industry is unable to keep maintaining the receiver to provider ratio at manageable levels worldwide. Adoption of telehealth and telehomecare proves to be a very sound and insightful decision to help address the underlying health-related issues best. SB Bhattacharyya, MBBS, MBA, FCGP is a practising family physician and health informatics professional working as business solution architect for IT in the healthcare and life-sciences domains. 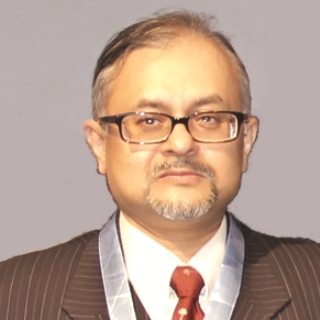 He is Honorary State Secretary (2015), IMA Haryana State, Member, National EMR Standards Committee, MoH&FW, Member, Health Informatics Sectional Committee, BIS and Ex-President, IAMI. His main interests include EHR, predictive analysis in medicine and application of machine learning techniques for treatment protocol planning.